A common problem with version-dependency based package managers, such as the Haskell standard package manager Cabal, is that dependency conflicts between multiple package can lead to dependency hell, or Cabal hell. A common reason for these conflicts is that an application relies on two different packages A and B, which in turn rely on a common third package C. Without any coordination between the authors of A and B, they may rely on incompatible versions of C.
Haskell for Mac solves this problem by relying on LTS Haskell, a community-curated, consistent set of over 1700 packages provided by the fine folks at FP Complete. 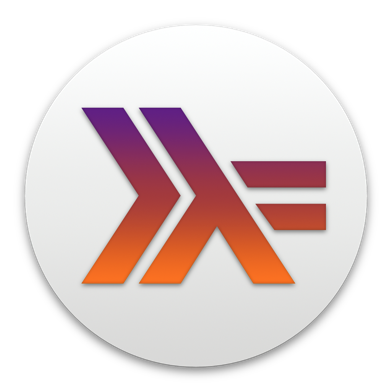 Each version of Haskell for Mac embeds a specific version of the Glasgow Haskell Compiler (GHC) and of LTS Haskell. Haskell for Mac already comes with over 200 library packages pre-installed and further packages from LTS Haskell can be added by using the Haskell for Mac command line tools, whose usage is described in a separate article. Consequently, Haskell for Mac users can use a wide variety of Haskell libraries without having to worry about dependency conflicts. Moreover, Haskell for Mac automatically adds build configuration files to all Haskell projects that ensure long-term and cross-platform repeatable and deterministic project building using the Stack build tool. Good article. So, you encourage to use stack instead of cabal right? Actually, with Haskell for Mac, there is no need to use `stack` for development. It is however useful to build your Haskell projects on machines where you don't have Haskell for Mac. Therefore, Haskell for Mac automatically adds a stack configuration file to each project.